The Mexican Office for National Defense (SEDENA) announced on Monday an emergency plan in the Quintana Roo state, where world-famous resort city of Cancun is located, as tropical storm Michael is approaching the coast, Sputnik reports. "The personnel of the 34th military zone is included in implementation of DN-III-E plan in the disaster prevention phase," the statement said. 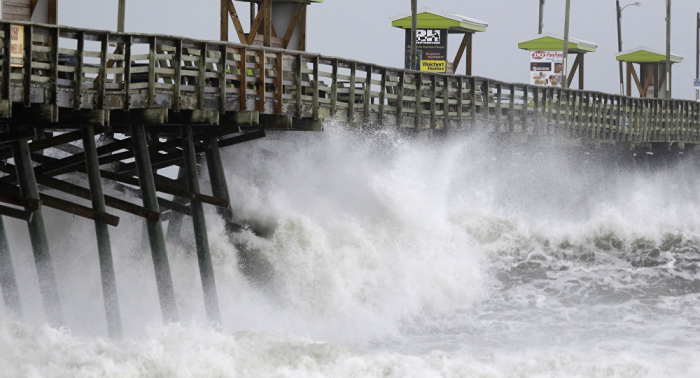 Meanwhile, US Alabama Governor Kay Ivey said Monday that she issued a state of emergency in the state amid approaching major Hurricane Michael. "I’ve issued a State of Emergency in anticipation of wide-spread power outages, wind damage and debris produced by high winds & heavy rain associated with #HurricaneMichael," Ivey wrote on Twitter. Hurricane Michael is forecast to be most dangerous when it reaches the northeast of the US Gulf Coast on Wednesday. Its winds are expected to have the velocity of 115 mph at that time.